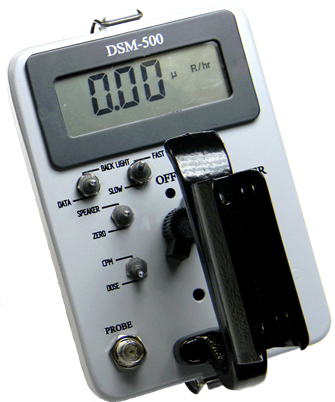 The DSM-506 is a digital survey meter that features an internal probe for high range and utilizes an external probe of your choice. This instrument is ideal for Nuclear Medicine. Other features include: auto-ranging, microprocessor circuitry, and a large backlit, digital LCD. 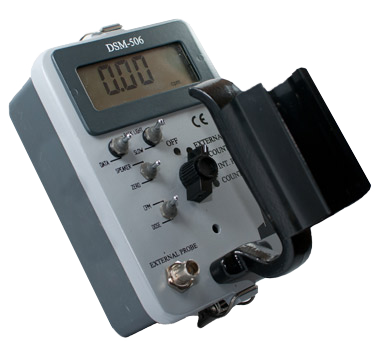 This instrument can be configured to indicate, Cpm, Cps, R/hr and/or Sv/hr. Standard features include diagnostics, scaler, adjustable alarms, over-range alarm and other error indicators. The DSM-506 supports several different probes. 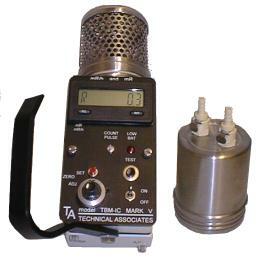 Separate HV supplies for each detector enable the utilization of any Johnson probe. Each detector has full auto-ranging and can be utilized for separate functions: internal= dose and external= CPM or a different dose range. The DSM-506 meets nuclear medicine requirements. 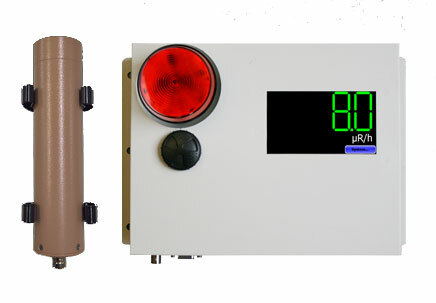 Over-range and regular alarms are provided for each detector. Diagnostics are standard. An RS-232 data output is available on request. When ordering, please make sure to chose an external probe.